You can learn how to change your handwriting, even if you've disliked it for years! Forget the usual advice. Ditch old habits. Use your new tips, tricks and tools. We'll cover the 7 parts of handwriting beginning with the most important ones! All 7 parts are important, but some are more important than others. 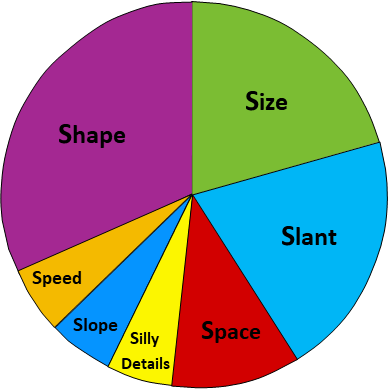 The biggest pieces in the pie chart will make the biggest difference to your handwriting style. and build lifetime habits in no time at all. NOTE: Don't try to learn more than one new skill per day. These days we're busier and more distracted than ever. You need single-minded focus for new learning to stick. Avoid overwhelm to ensure success! If you find you need more than one day to build new handwriting habits, let me know. Just fill in any of the blue boxes below, and I'll send you an email reminder with a link so you can come back to the handwriting help. I'll also send you a password giving you access to bonus tips, tricks and tools. Your 10 answers will show what’s working, what isn't, and what needs to change. don't pick and choose! Be sure to answer all questions in the order given. Changing letter SHAPE is the most useful thing you can do to change your handwriting! Your letters will be the correct shape if they are similar to letters you're used to reading every day. Like common fonts, they'll be both uniform and easy to read. QUESTION #1 - Are you using lower case and upper case (capital) letters correctly? Capital letters are used at the beginning of sentences, and certain names. They can also be used for emphasis, for example in titles, but it's not a good idea to use them exclusively. IF YOU WRITE LIKE THIS, instead of writing like this, your letters are not easy to recognize! Capital letters act as useful signals, but when they are used exclusively, these very useful signals are lost! Do you need help switching from writing using all caps to writing using lower case? I have free tools, guidelines, and a few simple steps for you. Use the buttons below! Click Below for Free Help! Use the Password I sent you! Fill in the boxes below and I'll email your password and link for the BONUS materials. You'll receive access to more handwriting help, bonus materials, and support emails. QUESTION #2 - Are you careful not to reverse letters? When you substitute a mirror image letter for your intended letter, words become very challenging to read. 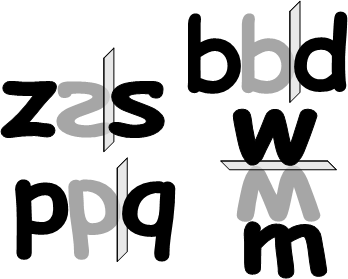 The most commonly reversed letters are b and d. A couple of less common side-by-side reversals are p and q, and z and s. An upside-down reversal is m for w, or vice versa. QUICK FIX - Create a habit for shaping reversed letters by using your arm and a special phrase (said out loud). The best way to avoid letter reversals is to apply a memory aid as you write. 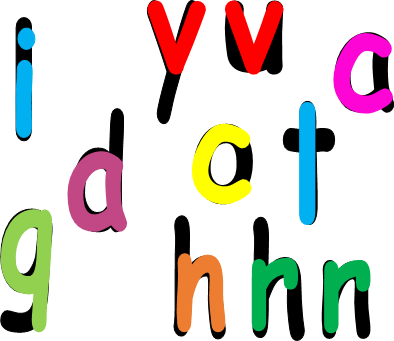 Those just beginning to learn their letters can avoid reversals by learning lower case before upper case (capital) letters, and by using an Alphabet Poem, with activities, to guide the shaping of the letter. Click on one of the buttons below to get your Letter Guide with custom activities. and on signs and screens. When your handwriting is different from common fonts you see every day, it's far more difficult to read. 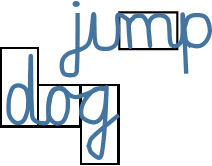 Handwriting fonts, like the ones below, look as if their letters are wearing a disguise! When you view these less common fonts, reading skills you've developed aren't as useful. 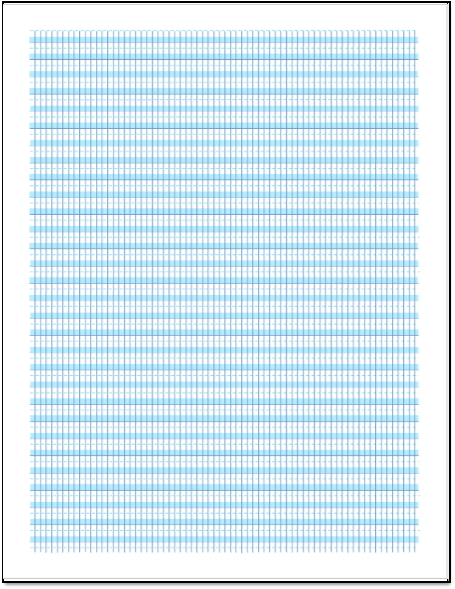 This slows your reading speed, and makes it hard for you to take in and remember what you've been reading. If letters are confusing, you have to put more energy into the process of reading and writing. So you have less brain power left over to think about what you're reading and writing. Your ability to learn and remember words and ideas is reduced! QUESTION #3 - Does your handwriting look like the print you read every day? If your letters don't resemble common print (typeface), and aren't uniform, your words can be unnecessarily difficult for you and others to read. The letters of common fonts have a consistent, recognizable shape. The letters of common fonts are more rounded than the letters we're used to writing. In fact, because of the ways we were taught to write, we can find it impossible to make our letters consistently rounded. 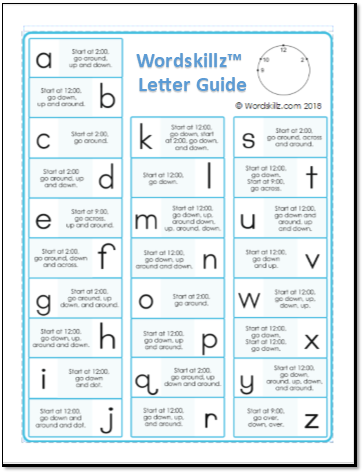 QUICK FIX - Use the Wordskillz™ Analog Clock Trick to start letters in the right place and in the right way. The 'Analog Clock Trick' will magically give your letters a consistent, rounded shape that is most like the fonts you read every day. When you use it along with the Wordskillz™ Letter Guide (from Question #2), your handwriting will be much easier to read. CLICK the button below - to learn how to write neatly using a simple trick! <<< CLICK on the button, and learn how to write neatly using a simple trick! NOTE: Both questions #4, #5 have to do with letter size. Question #4 deals with height, and Question #5 deals with width. Used unlined paper for your sample? Use a ruler to make it look as if you'd written on lined paper. Now, whether you've written on lined paper or not, create a new line that runs along the top of your short letters. QUESTION #4 - Are your letters the correct height? Your long letters should be approximately twice the size of your short letters, and none of your letters should take up all the space between lines. Are the following 14 short letters taking up about 1/3 of the space between the lines? Do the following 7 long letters appear twice as long as the short letters above, and take up about 2/3 of the space between the lines? Do the following 5 long letters appear twice as long as the short letters above and take up about 1/3 of the space above the baseline and 1/3 of the space below? 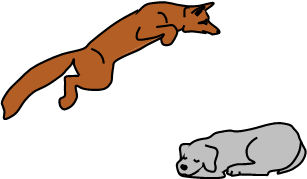 When the tops and tails of letters are too short (in relation to the letter body) those letters can be mistaken for other letters. The tops and tails of letters should not stretch to lines above and below. If they do, they can overlap letters written on other lines. This will make both lines of words more difficult to read. Remember the lines we were given to practice handwriting? They looked like the ones in the image above. 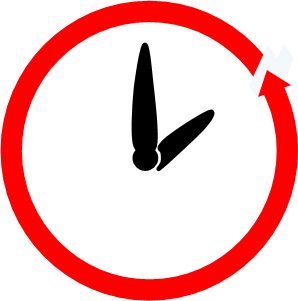 Note how the letters in the red circle overlap. I've you've had trouble making your letters the right size, maybe it's the way you were taught! QUICK FIX - Divide the space between lines into thirds, not halves. Use about 1/3 or 2/3rds of the space available for each letter. NOTE: The quick fixes are relevant even if you never use lined paper. Just imagine the lines and spaces you need, and this will improve your writing by creating symmetry and more blank space. 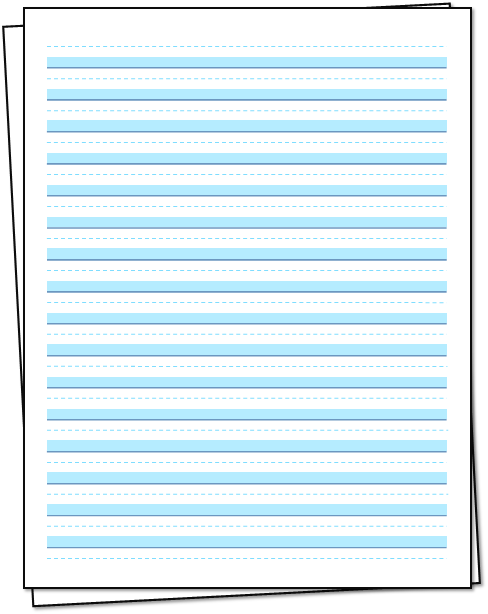 If you'd like to improve the height of your letters, use free downloadable lined paper to magically solve any problems! You don't need to do any extra practice, just use this specially lined paper for a week or 2 and you'll easily form a habit of making your letters the correct height. Note: If your letters don't all sit on the baseline, your letter height may appear out of whack when the letters are actually the correct height just jumping out of place! You'll learn how to keep letters and words lined up when we consider letter slope. Click on one of the buttons below to get your paper and guidelines. Fill in the boxes below and I'll email your password and link for the BONUS materials! QUESTION #5 - Are your letters the correct width? Letters that are as wide as the fonts we are used to reading every day, are far more readable than letters that are more squished! The rounder your letters, the better. 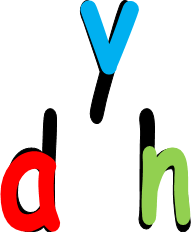 In addition, when letters like 'm', and 'w' are squished, they can be confused with the letters 'n' and 'v' that are only half as wide. Make sure the letter 'm' is almost twice as wide as the letter 'n', and the letter 'w' is almost twice as wide as the letter 'v'. Letters fit into 3 shapes: lines, squares, and rectangles. 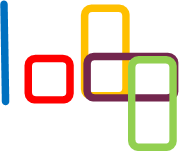 Rectangles can be either tall or wide, and sit on the baseline or fall below it. If you'd like to improve the width of your letters, use free downloadable lined grid paper to magically solve any problems! You don't need to do any extra practice, just use this FREE SPECIAL PAPER for a week or 2 and you'll easily form a habit of making your letters the correct width. Changing letter SLANT is the 3rd most important thing you can do to change your handwriting! When your letters are slanted uniformly, and slanted only slightly or not at all, words are easy to recognize and sentences are much easier to read. Your letters have the correct slant if they are all straight up and down, or slightly slanted, and all slanted the same way. QUESTION #6 - Do your letters have no slant at all, or just a slight slant? Do they all slant the same way? The slant of your letters has a big impact on their readability. The same grid paper that will help you improve the width of your letters, can be used to help with letter slant. 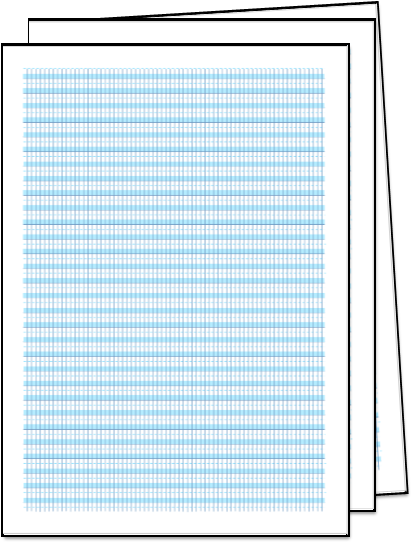 The free downloadable lined grid paper can magically solve problems with letter width, slant (and spacing - the aspect of handwriting we'll consider next)! I've created three different types of grid paper to choose from, with 3 different types of slant. You won't need to do any extra practice, just use this FREE SPECIAL PAPER for a week or 2 and you'll easily form a habit of making your letters the correct slant. Click on one of the buttons below to get your free special paper. 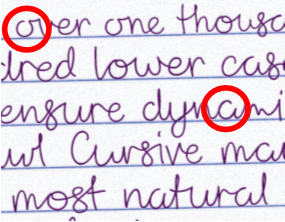 Changing Letter SPACE is the 4th most important thing you can do to change your handwriting! Some people believe that improving the amount of space between letters and words is just as important as improving shape! If your letters overlap, or words appear too cramped, your writing will be difficult to read. Well spaced letters and words are readable at a glance. QUESTION #7 - Is your letter spacing the right width and uniform? Is your word spacing the right width and uniform? Your letter spacing is correct if no letters overlap within words, and letters are spaced the same width apart. The space between letters should be about the same width as half of the letter 'o'. Your word spacing is correct if no words overlap, and words are spaced the same width apart. The space between words should be about the same width as the letter 'o'. NOTE: You'll find that handwriting requires a larger space between letters and words than published fonts. Make the spaces between words about as wide as the width of the letter 'o'. Use grid paper as a guide until you've formed a habit of getting spacing right. The same grid paper that helps with letter width and slant, can help with letter and word spacing. The free downloadable lined grid paper can magically solve a lot of handwriting problems if you just use it briefly as a substitute for the paper you normally use. Click on one of the buttons below to get your paper, and tips for improving letter and word spacing. Changing SILLY DETAILS is the 5th most important thing you can do to change your handwriting! Letter details are something you'll want to consider alongside letter shape. That's because silly details are also very important when it comes to making letters easy to recognize and easy to tell apart from one another. In fact, silly details aren't silly at all! So what are these silly details? QUESTION #8 - Are your letters easy to recognize and tell apart because you remember silly details? QUICK FIX - Include 'silly details' as you write each letter. Don't wait until you've finished a word or sentence. Yes, you'll write a little slower if you're paying attention to all these details. But you won't have to do this forever. Just spend a few days paying close attention to your letters every chance you get. This is the way to build a habit of taking the necessary steps. Once you've built the habits you need, you can go back to writing in the usual way. At that point, you'll be happy with your new and improved results! There are no special tools for you to use this time. However, you should still take a day to use your new tip before you go on. If you want to learn more about how to change your handwriting, and you don't want to forget to return... I can send you a reminder to return to the questions tomorrow. Changing Letter SLOPE is the 6th most important thing you can do to change your handwriting! For the purposes of Question #9 ... Consider how things slope when you're writing on blank, and lined paper. NOTE: The sample you created before you began answering the 10 questions may not be useful when you answer this question. You may need to consider other writing you've done! and overwhelm what you're trying to read or write. Have minds of their own? Do they dance all over like notes on a sheet of music? Do they go up and down as if they were written on the surface of a ball? Are they resisting lining up with the page margins? QUICK FIX - Four quick and simple changes will make all the difference. 1) Avoid the use of blank paper for at least a week. Rely on lined paper and margins to guide you. 2) Adjust the slant of your paper, and keep your hand position steady. 4) Slow down. Give yourself time to integrate the tips in #3. The same paper that helps with letter height, width, and slant, will help with slope. If you need to practice perfecting letter, word and sentence slope, use the buttons below to access the paper. Then, take a day to use your new tip before you go on. The skill of handwriting is as important now as it has ever been! We've known for decades multi-sensory learning is the best, and for some the only way to learn. But multi-sensory learning is noisy and demanding. It is certainly not tell, then test, like some classroom, and most screen learning! It's a type of learning that requires full mental and physical participation. Let's say you see a new word in a book you're reading, and you decide to learn it. You don't know the meaning or how to pronounce the word, so you Google it. On-line you can hear someone say the word, and discover its meaning. But you know you're not going to remember what you've learned, unless you get busy. So you read the word, and its meaning, out loud. Then you do one more thing to boost your learning and memory. You write down both the word, and its meaning, while saying, out loud, the words you're writing. as the sure (SHRwR) way to learn! Do you see where I'm going with this line of thinking? As it turns out, writing things down is a critical part of the learning process! YOU DO NOT WANT TO MISS HANDWRITING OUT OF THE LEARNING EQUATION!!! As you write, you engage your eyes, fingers, hand, arm, shoulder, and ears! However, a certain style of handwriting is best! What's more, it's probably not the type of handwriting you learned in school. In Question #3 you learned to start letters in a different place from the place you were taught. In Question #4 you learned to change letter height and not to fill the space between lines as you were taught. Improving letters in these ways, and others, will give you the type of handwriting that boosts your ability to learn and remember. Now it's time to make a small addition! If you want handwriting that is practical for any situation, you'll want to change some letters slightly, and your words quite a bit. As it turns out, the most practical handwriting of all isn't anything like the handwriting you were taught. It's a hybrid. 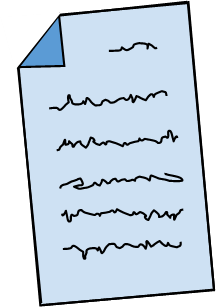 The best style of writing is a combination of print, otherwise known as manuscript writing, and joined-up writing, also known as cursive writing. Most people who write a lot every day, have already switched to using this hybrid style of writing because it is so practical. If you haven't yet made the switch, and you'd like to, you're going to love what you learn in Question #10! 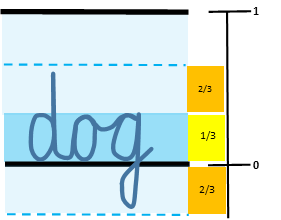 Changing Letter SPEED is the 7th and final thing you can do to change your handwriting! If you've ever wanted to learn how to write both quickly and neatly, then Question #10 will be your favorite. You'll learn that when it comes to improving the speed of your handwriting, there is much that you can do. The most radical thing you can do to change your writing speed is to link your letters instead of print writing. There are also 5 less radical things you can do that will still make a big difference. QUESTION #10 - Do you write as quickly as you'd like? When letters are joined words can be written far more quickly. You don't even need to join all your letters, just the ones that can be easily joined. Get your paper surface just right! Use a pad of paper, or a stack of paper, to write on so your pen glides more smoothly. Choose the right pen! You need a pen with a comfortable grip that's the right width for you. You also need to be sure the ink flows smoothly but doesn't smear. Adjust your body! Your hand, arm and shoulder should be relaxed, and your grip should allow the words to flow as smoothly as the ink from your pen. Adjust your space! Your writing surface should be stable, large enough, and neither too high nor too low (both your feet should be flat on the floor). that is completely customized and personalized! Whether the goal is new skills or knowledge, learners learn best by doing! Most classroom, and all computer based learning, is not multi-sensory, and yet that's all most learners are offered. This creates gaps in the most basic skills which undermine all learning going forward. That's where Wordskillz™ free help comes in! 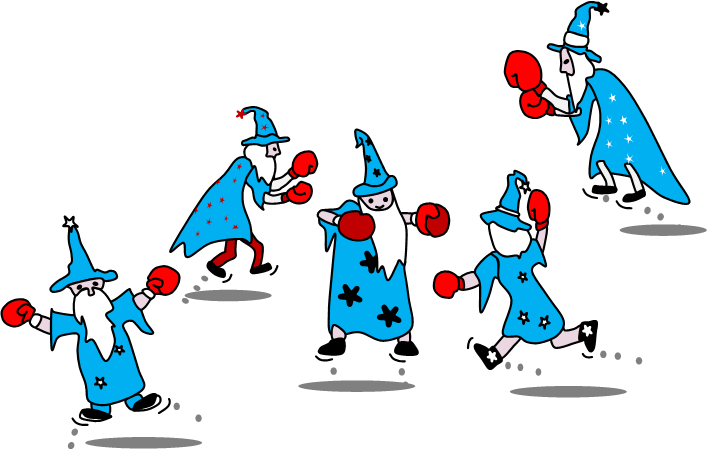 Wordskillz™ takes your practice off the worksheet and screen, and into your body. You can quickly build new habits by gaining skills and knowledge the right way. At Wordskillz.com free private tutoring is available for everyone! But handwriting is just the beginning! It's time to check your spelling skills with the Wordskillz™ Spelling Quiz!